Annapolis, Md. 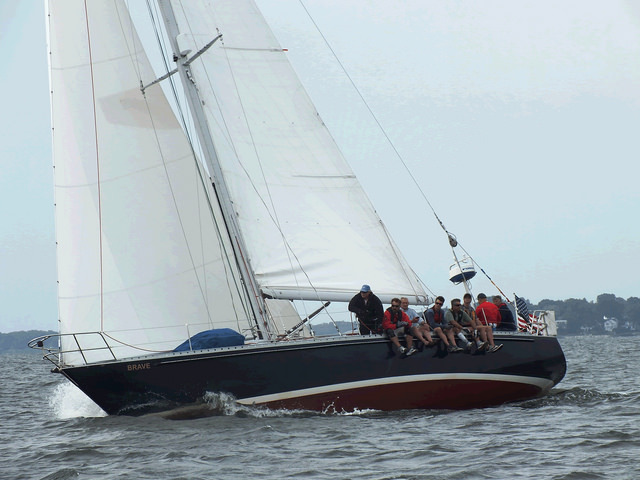 (September 27, 2015) – Ten teams put their offshore racing skills to the ultimate test over three days on Chesapeake Bay. The 2015 U.S. Offshore Sailing Championship, hosted by the Naval Academy Sailing Squadron, was decided on Sunday following a series of races in various formats that challenged these sailors’ navigational and offshore racing skills including boat handling. In the end, it was Bruce Kuryla’s (Milford, Conn.) team who earned the Lloyd Phoenix Trophy. The win for Kuryla marks his third U.S. Offshore Championship, including three of the last four (2015, 2011, 2009). His highly skilled crew featured Blake Marriner, William Tyler, Thomas Jankun, Rod Swift, Phillip Williamson, and Bruce S. Kuryla. His crew has been consistent at this event for all three his championships. They entered Sunday’s racing with a six point lead over the team representing the U.S. Naval Academy led by skipper Jackson Niketas (Birmingham, Ala.). The championship featured medium and long distance races with a variety of courses, as well as shorter buoy races. 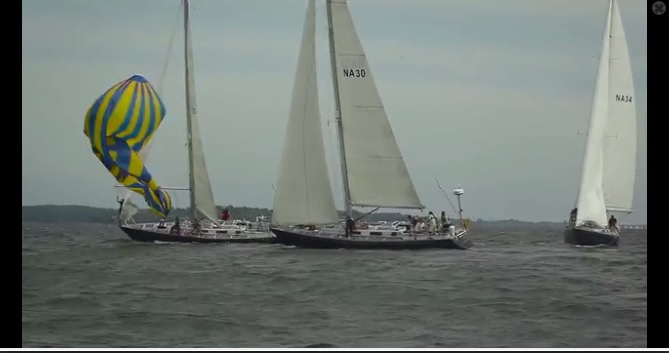 On Friday the fleet completed two buoy races and one medium distance race in winds ranging from 10 to 17 knots. On Saturday they completed two distance races. The first race was 18 nautical miles and the second was 35 nautical miles in 18 to 22 knots. All distance races were worth double points. 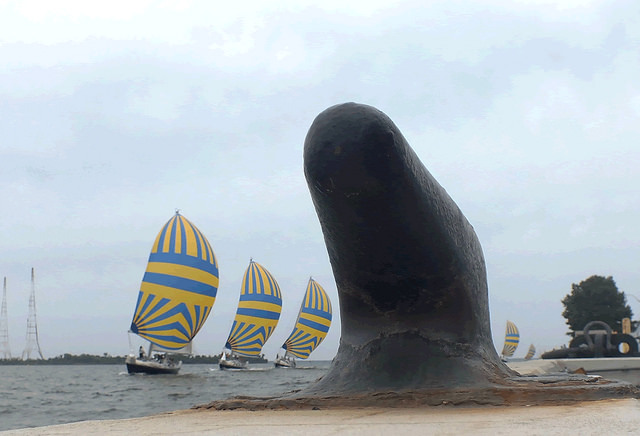 The fleet raced 116 nautical miles over three days, and 101 nautical miles in distance races. Each team consisted of a crew of eight, including one skipper, six crew members, and one U.S. Naval Academy Midshipman from the varsity offshore racing team. A minimum of five of each competitors’ team must have raced together in at least five regattas in AMERICAP/ORR, IMS, IRC, MORC, PHRF, Offshore One-Design, Offshore Level Class Racing or Portsmouth Numbers rating systems in the past 18 months. Each team’s skipper must have been the regular helmsman for the five qualifying regattas. For results, final standings, video highlights (to be posted this week), photos, Twitter updates, and more information from the 2015 U.S. Offshore Championship, please visit the event website. The Lloyd Phoenix Trophy will be engraved with the winning skipper’s name and area, and will be showcased at the United States Naval Academy Sailing Hall of Fame. US Sailing medals were awarded to the top three teams. First place prizes were awarded for each race. The 2015 U.S. Offshore Championship is sponsored by Gill North America and Switlik Survival Products.